National Refinery utilizes a large number of utilities to support the manufacturing at production units. The supply of water, steam, fuel and air is the assignment of Utilities Department. A comprehensive utilities complex exists to meet the refinery’s requirements of utilities, steam, and condensate, cooling water, instrument/plant air and fuels. This consists of one Demin / Water Treatment plants, four Reverse osmosis plants, three condensate recovery plants, five high pressure steam boilers, four induced draft cooling towers, two nitrogen generation plants, a number of instrumentation/plant air compressors and two units for refinery fuel gas and fuel oil system. This all operate round the clock for smooth operation of the entire Refinery. 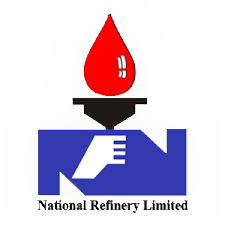 National Refinery has completed its project of Self-Power Generation. After addition of new power sources, Self-Power Generation plant now consist of two 7.2 MW steam turbo-generator, a 4.0 MW Diesel-Fuel Oil Engine Power Generator and a 8.2 MW Diesel Fuel Oil Engine Power generator. The self-power generation is meant for continuous uninterrupted power supply and to avoid plant shut-down and production loss due to power break- down. Huge quantity and variety of crude oils, about 3 million ton per annum and about equal tonnage distributed in about thirty products are handled at NRL. For this, elaborate system of pumping stations, pipelines, tankage and loading gantries are maintained. The inventory of crude oil and products stored at refinery tankage has enormous monetary value. This operation involves receipt and transfer of crude oil from port terminal, inland domestic crude oil receipts, transfer to and receipts from processing units, product transfer to Oil Marketing Companies, product shipment through tank lorry filling gantries. A whole maze of pipelines and over one hundred and fifty crude oil and product storage tanks are utilized for this purpose. Shipping Department works side-by-side with Oil Movement to facilitate documentations and coordination with Excise Authorities.